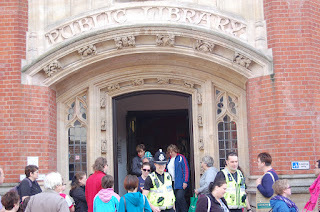 You may have noticed I have been a bit quiet about libraries recently but quite a lot has been happening and I think it is time for me to say a bit more. As a member of the Stradbroke Library Working Group I have attended quite a few meetings together with Debenham and Eye and with various Suffolk County Council officers. I will talk more about this later. Yesterday I attended a “workshop” in the Central Library in Ipswich for library campaigners and pilot group members - so I had two hats to wear. The workshop was an attempt by Suffolk County Council to engage in a positive way with both these groups to get feedback mainly on the proposed central model for libraries. There were a good number of officers present and two councilors, Judy Terry and John Klaschka. The meeting started a little nervously. After all some of the people in the room had essentially been involved in quite a significant pitched battle up until quite recently. There were some signs Suffolk were trying to over-manage the meeting but once both sides relaxed a bit (and ironically this was the day I was wearing a 24 hour blood pressure monitor!) the mood became more constructive. The Council shared some of their thinking and plans that will be in the final November cabinet paper and as expected the independent social enterprise model looks to the favored option. But somewhat unexpectedly an “industrial provident society” where each local library is a Member and has a vote to elect the Board is proposed model. This looks interesting and very like the Umbrella Trust model I have been working on for the Academies. But what was most striking was the change to the approach from the County Council to a much more constructive approach. I still think Judy Terry could do more of this though. Her dogged determination to claim that nothing has changed and this was the intent from the start of the consultation does not sit well with either the facts or the mood of change that Mark Bee and others like John Klaschka are setting. Cllr Klaschka’s contributions were helpful and his acceptance that things have changed – in the right way – helps to move things forward. On the local level after a bit of a shaky start we are really getting into the “nitty gritty” working out what would be done locally, what centrally and in the case of all three libraries some issues around the buildings. 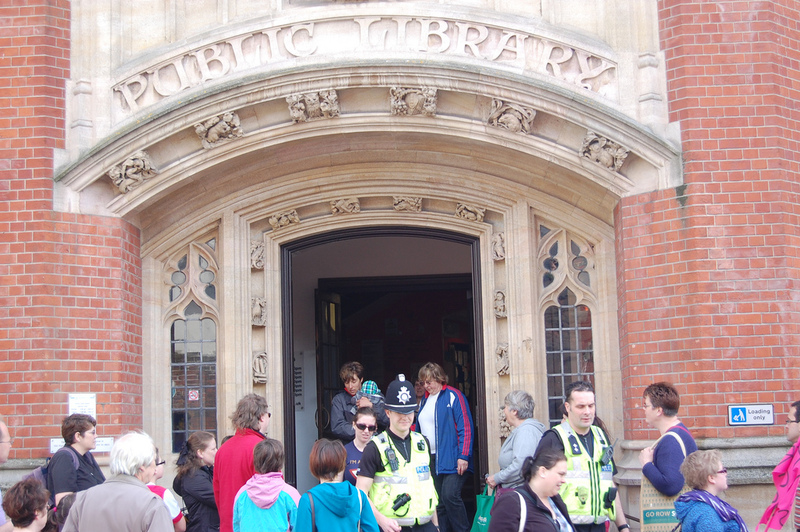 Eye and Debenham want to move and Stradbroke want to develop the Court House building that the library is part of. These discussions are still ongoing. I think what we are all realizing is that true localism takes time and is far from easy. But we are taking the first steps. A few people seemed a bit disappointed that we were not all as excited about as they would like but it still remains the case we are doing this against a cost cutting agenda which is far from ideal. And for many of us it isn’t just libraries but other local services we are trying to keep going. Asked what the success criteria for the pilots should be I think I disappointed a few by saying simply “our library will still be open”. But that is where we are at still. Anything else will be a welcome bonus!